started as a business in 1994 to provide education and training for health professionals who then would teach the WarmFeet® intervention to their clients. It also facilitated inquiries and provided answers about the new WarmFeet® technique to the public. After specific, scientific research, the technique became a significant intervention for healing of foot sores. It increases circulation to the legs. Ms. Rice has presented the application of the WarmFeet® research and its findings to both national and international meetings such as Center for Disease Control, Annual meetings of the American Diabetes Association, (ADA) and the American Association of Diabetes Educators (AADE), The Canadian Wound Care Association, workshops of the Regional AADE Chapters, Community Health organizations, American Indian Tribal organizations, University Health and Research Forums etc. With this Online presence we are now able to provide much more information, more quickly, as well as making it easier to order the WarmFeet® Kit. We invite nurses, diabetes and health professionals to make use of this information and contact us for further help. If you need to order the WarmFeet® Kit in bulk for classes or support groups, please contact us for that information. Health Education for Life also has been a source for many individuals who want to learn the technique and order a copy of the WarmFeet® Kit for themselves. The self-help kit offers assisted temperature biofeedback as a way of helping the person learn to relax. Seeing the change in blood flow (increased skin temperature!) after successful relaxation is a powerful medium to learn the process of increasing peripheral circulation. It is like having the teacher right there with you! To educate people about the power of the mind-body connection. It helps them realize that their own natural direction and abilities can improve health. It presents the WarmFeet® relaxation intervention as a new natural way to improve peripheral blood flow to the feet, relieve pain, increase healing and wellness. New Treatment Option to increase Blood flow to Feet and Hands”, Amputee Coalition’s inMotion magazine, Vol.21, Issue 3, p.32, 2011. The WarmFeet® Kit. CD and/or cassette tape recording with instructions. A relaxation technique designed to improve blood flow to the feet and a thermometer for assisted biofeedback, ® and © 1997, B.I. Rice. CD version 2007. Increased Peroneal Nerve Function in People with Diabetes Mellitus Following Biofeedback Assisted Relaxation Training. Abstract in Biofeedback and Self Regulation, Vol.9, No.3, September 1994. Increased Healing Rate of Foot Ulcers with Thermal Biofeedback Assisted Relaxation Training (BART). DIABETES, 43/6, 1994. Increased Peroneal Nerve Function in People with Diabetes Mellitus Following Biofeedback Assisted Relaxation Training, The Proceedings of the 25th Annual Meeting of the Association for Applied Psychophysiology and Biofeedback, March 1994. Increased Sensory Nerve Function of the Peroneal Nerve: Response to Biofeedback Assisted Training, DIABETES, 41/6, p.33A, 1992. Effect of Thermal Biofeedback-Assisted Relaxation Training on Blood Circulation in the Lower Extremities of a Population with Diabetes, Diabetes Care, 15/7, p.853-859, 1992. Cited by Diabetes Journal in 2002. Relaxation Recording: To Increase Blood Circulation in the Feet. Copyright 1990, B.I. Rice. Audio cassette tape recording. VIDEO: Discussing WarmFeet Kit with Scott King, Life Coach and columnist at DiabetesHealth.com. Birgitta Rice, MS, RPh, CHES originally from Sweden where she worked as a pharmacist. As she came to the United States she settled in the Midwest. After graduating with a masters degree from the University of Wisconsin-LaCrosse in Community Health Education (specializing in stress management), she continued with research in health, wellness and stress management at University of Wisconsin. She realized the potential benefits of relaxation training for populations with limited circulation to their legs or with diabetes. So she created a technique designed to improve blood flow to the feet. This was later tested, with positive results, in multi-site randomized clinical trials at the University of Wisconsin-Madison. She later moved her work and research to the University of Minnesota, Epidemiology Clinical Research Center in Minneapolis, MN. Findings from using this relaxation technique together with medical care in further studies, were highly significant and positive for pain relief and wound healing. Of patients, in one such study, who practiced the relaxation, 87.5% healed their chronic foot ulcers within 12 weeks, compared to 43.7% in the control group without the relaxation technique. In a follow-up study, 5 patients with the unhealed ulcers now 3 months further along, learned the relaxation technique and they all, 100% healed their ulcers within the following 12 weeks! Research findings have been presented nationally and in Canada. They are also published in medical journals such as, Diabetes Care, DIABETES, Journal of the American Podiatric Medical Association JAPMA), The Diabetes Educator and described in several health care magazines for the general population. Based on this work, the WarmFeet® intervention has established itself as a NEW treatment modality – an educational intervention – which increases peripheral circulation and complements standard medical care for leg, foot and wound therapies. 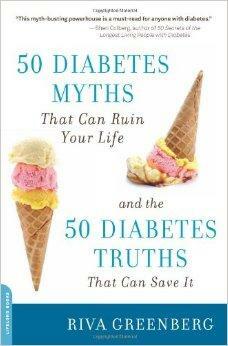 It has been reviewed by the FDA and is an excellent method of self-help. It could well serve as a preventive intervention for peripheral arterial disease. That may be the topic for a future study. 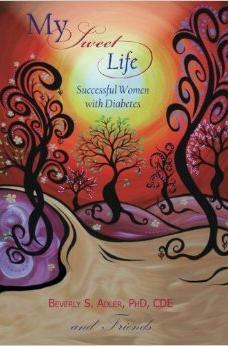 My Sweet Life: Successful Women with Diabetes, published by Beverly S. Adler, PhD, CDE and friends.